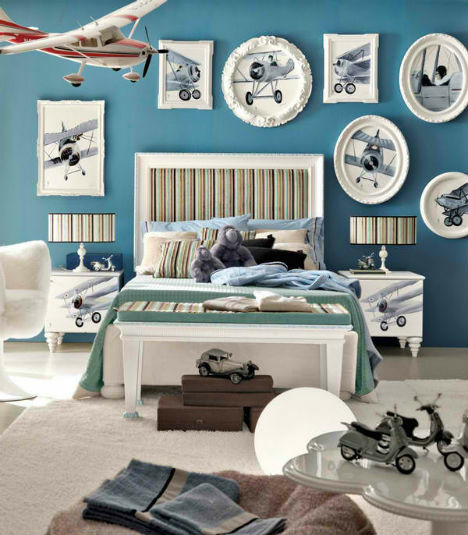 When the rest of the house is carefully furnished and decorated to be both practical and a visual representation of the adult residents’ style, why should kids’ rooms be a primary-colored afterthought? 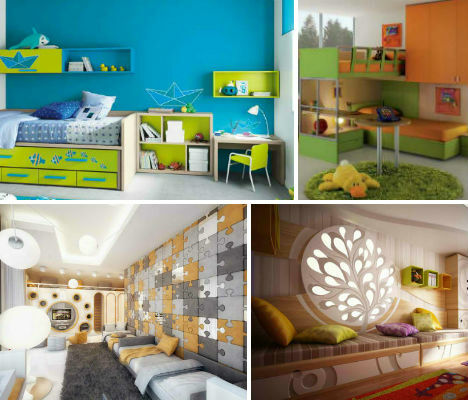 These 32 bold, modern bedrooms for children by 8 interior designers and furniture manufacturers around the world offer smart solutions for little ones’ needs, often with compact modular all-in-one sets. Some modern furniture retailers offer incredibly compact, function-packed bedroom sets for kids and teens that make use of every inch of space. Italian company GAB is among them, with colorful bunk beds and trundle beds that provide sleeping space for more than one child while maintaining organization and privacy. The sets are visually cohesive, with desks, storage, wardrobes and other components on wheels so they can slide around as needed. 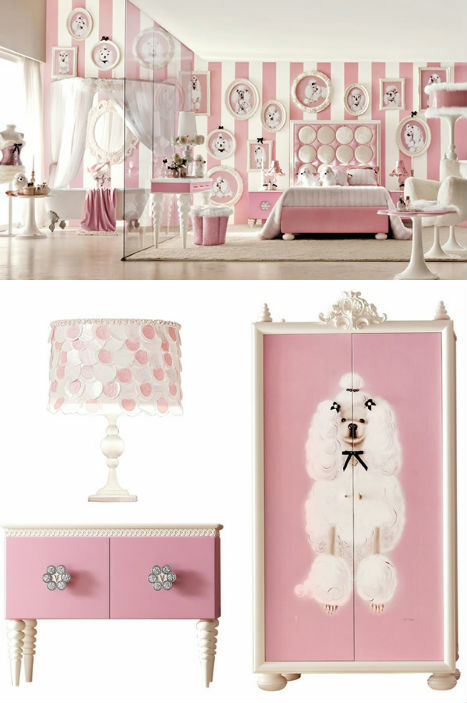 For parents who want their children’s bedrooms to match the rest of their traditionally decorated homes, AltaModa offers a range of furniture and decor concepts that are like adult rooms in miniature, but with a dash of whimsy. 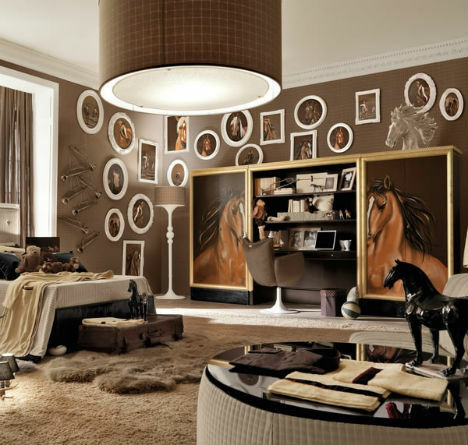 The same attention to detail that would be seen in the master bedroom is applied here, with themes like horses, poodles, nautical, baseball and aviation. 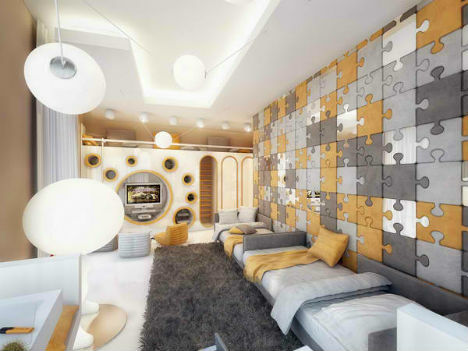 The adults in the house might get jealous of this cool, sophisticated kids bedroom idea by Geometrix Design. 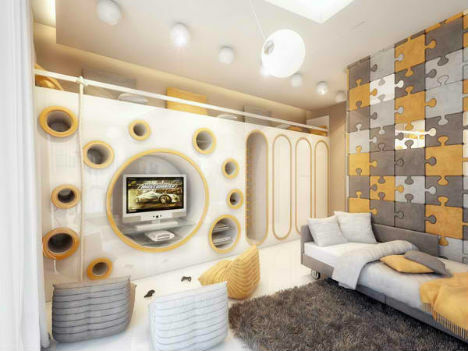 A soothing palette of silver, gunmetal and gold is carried from the eye-catching puzzle-piece wall to a built-in closet, entertainment center and storage area on one side of the room.